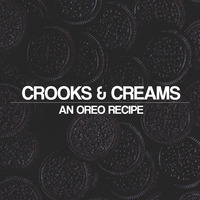 An Oreo style Cookies and Cream recipe. It's very rich. I can't vape it for long without getting overwhelmed. That said, I enjoy it for a couple drips here and there. The chocolate and cream are balanced really well; its creamy but still has crunch. The CFB gives it a cookie texture that I didn't expect from that flavor. However, I don't get an Oreo or Hydrox cookie. To me, it's more like one of those chocolate wafer cookies minus the wafer flavor. Great recipe. Has a distinct chocolate cookie flavor for me , not exactly oreos but maybe the generic chocolate cookies I get at the dollar store. Either way its delicious and I love it. A solid Oreo cookie and cream flavor. Definitely on the rich side and not something you'd want to vape everyday but it's undeniably Oreo. This is fantastic. Not something i would have thought of mixing or vaping until i saw this recipe but oh wow, what a great experience! How you found your way to the oreo flavour is incredible and this really is like no other juice i've vaped before, and I mean that in a very good way. Stunning juice.